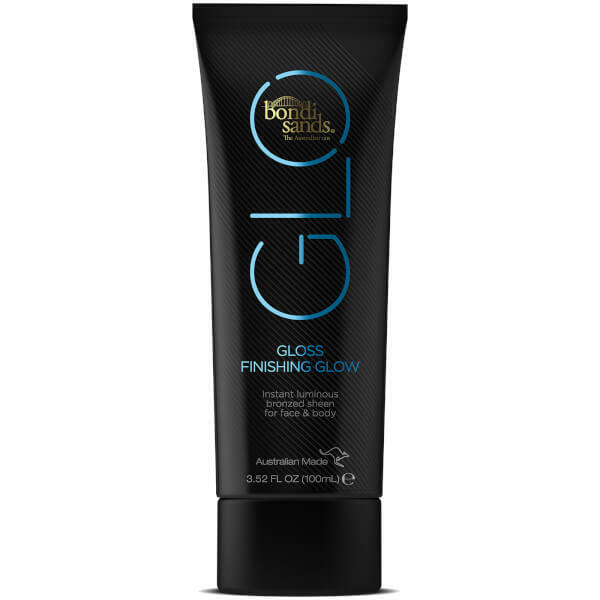 Replicate beach holiday radiance with Bondi Sands GLO Gloss Finishing Glow, a high shine formula that lends skin a luminous bronze sheen. Easy to apply and wash off, the bronzing formula is suitable for both the face and body and glides effortlessly across skin to deliver a reflective glow that helps to sculpt and enhance the appearance of skin. Transfer and water-resistant. Step 1: Shake well. 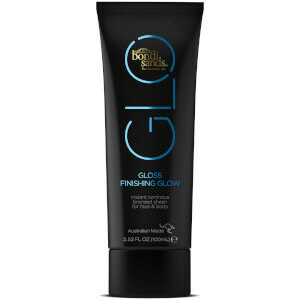 Apply a small amount of Gloss Finishing Glow directly on to the skin. Step 2: Spread evenly with hands or application mitt. Reapply Gloss Finishing Glow as required. Step 3: Wash hands after application and remove from skin using a cloth with warm water and soap. C12 - 15 Alkyl Benzoate, Octyldodecanol, Caprylicycapric Triglyceride, Ethylcellulose, Mica, BHT, Parfum, Tocopheryl Acetate, CI 77491, CI 77499.